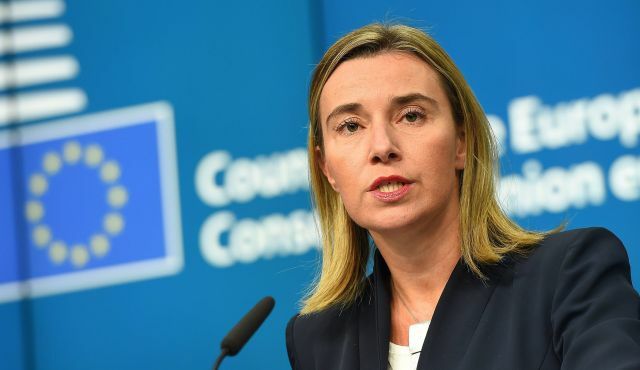 EU High Representative Federica Mogherini reiterated the EU’s commitment to Ukraine’s sovereignty and territorial integrity in a declaration issued on 9 April. “Four years on from the illegal annexation of the Autonomous Republic of Crimea and the city of Sevastopol by the Russian Federation, the European Union remains firmly committed to Ukraine's sovereignty and territorial integrity,” Mogherini stated. Mogherini highlighted that the ongoing militarisation of the peninsula continues to affect security in the Black Sea region. “In violation of international humanitarian law, Russian citizenship and conscription in the armed forces of the Russian Federation have been imposed on Crimean residents,” she added. The EU statement also underlined the worrying trend with regard to the deteriorating human rights situation, including violation of the rights of Crimean Tatars, since the illegal annexation of the Crimean peninsula in March 2014. The complete text of the declaration, issued following the 4th anniversary of the illegal annexation of Crimea and Sevastopol by the Russian Federation on 18 March 2018, can be found here.